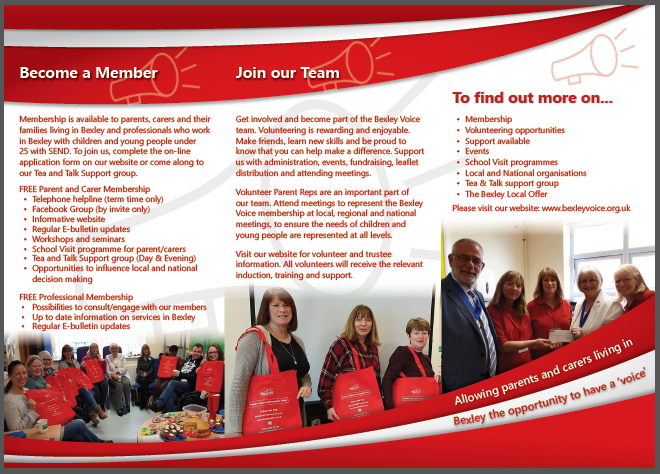 Bexley Voice is the Parent/Carer forum for Bexley. We are a voluntary group of parents and carers of children and young people (age 0~25) with special needs and disabilities (SEND) living in the London Borough of Bexley. 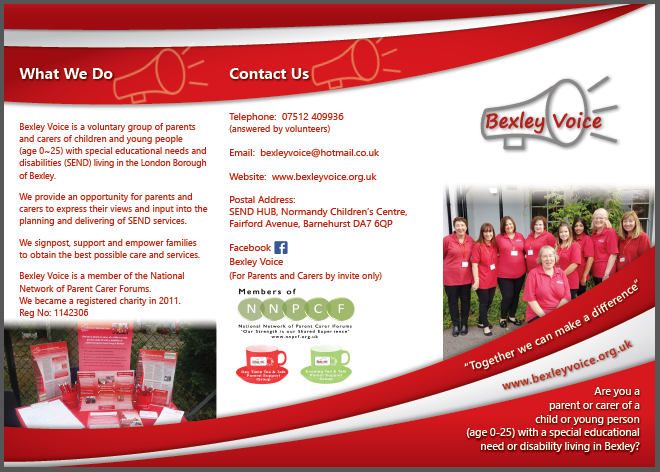 ​Bexley Voice is a member of the National Network of Parent Carer Forums. ​We became a registered charity in 2011. Bexley Voice Workshops - Click here to find out more and book your place!